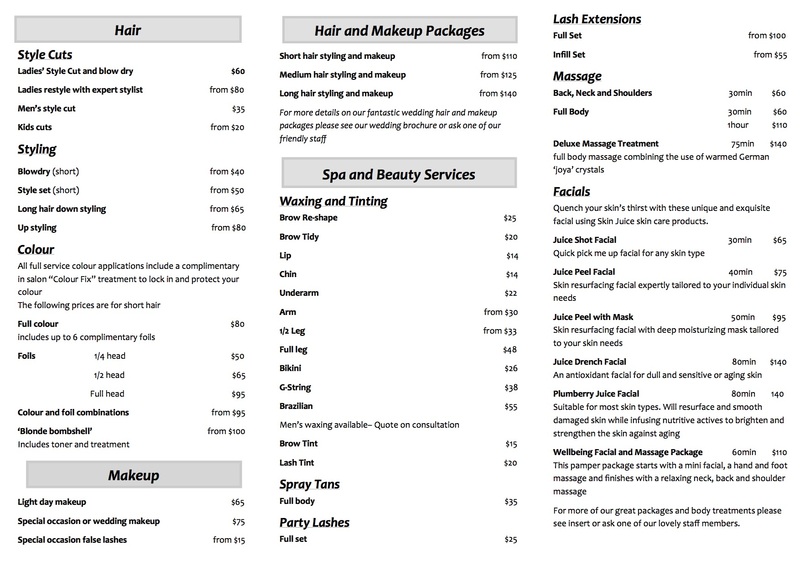 Whatever the occasion, our fully trained makeup artists are ready to work with you to create a perfect and flawless look. 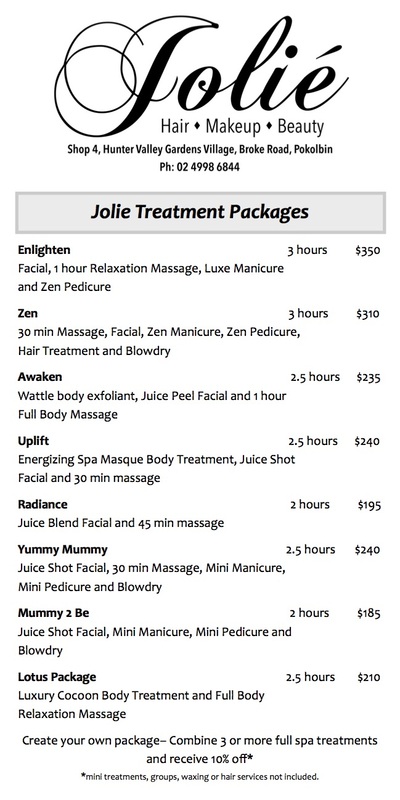 From mani’s and pedi’s to waxing and tanning and everything in between, the Joliè Hair Makeup Beauty salon is ready to cater to your every beauty need. 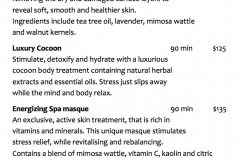 If it’s a bit of pampering you’re after, then let our friendly team pamper you from head to toe with one of our body massage treatments. 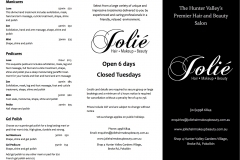 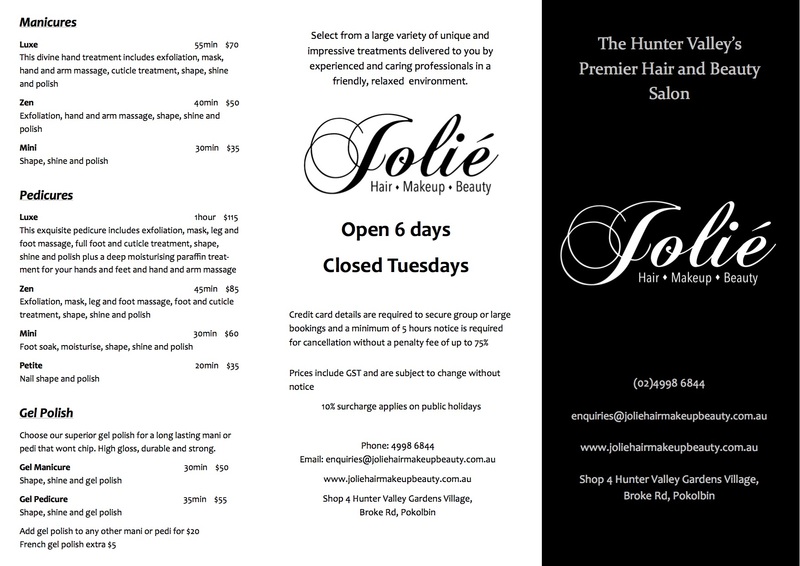 When it comes to makeup and beauty, Joliè Hair Makeup Beauty have one of the largest ranges of options to cater to any need. 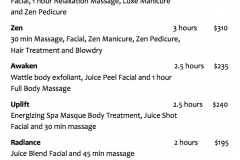 Our services include makeup, waxing, spray tans, lashes, massages, facials, manicures and pedicures, every services has a number of different options to allow us to pamper our clients in whatever way they choose. 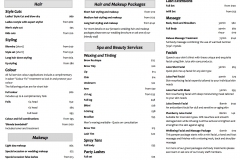 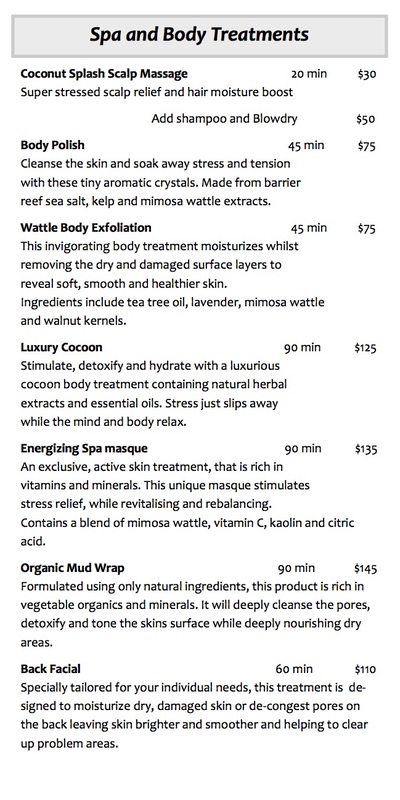 For service descriptions and ore treatments and packages, please view our full service menu and price list below.